Panama's Minister of Finance, at a recent conference in Panama City, stated that total new incorporations in Panama in 2016, by the end of year will show a twenty per cent decline from 2015. Most observers attribute this to the reluctance of foreign clients to form new corporations and foundations, in the light of the negative press generated as the result of the publication of the Panama Papers, the records of the law firm of Mossack & Fonseca. 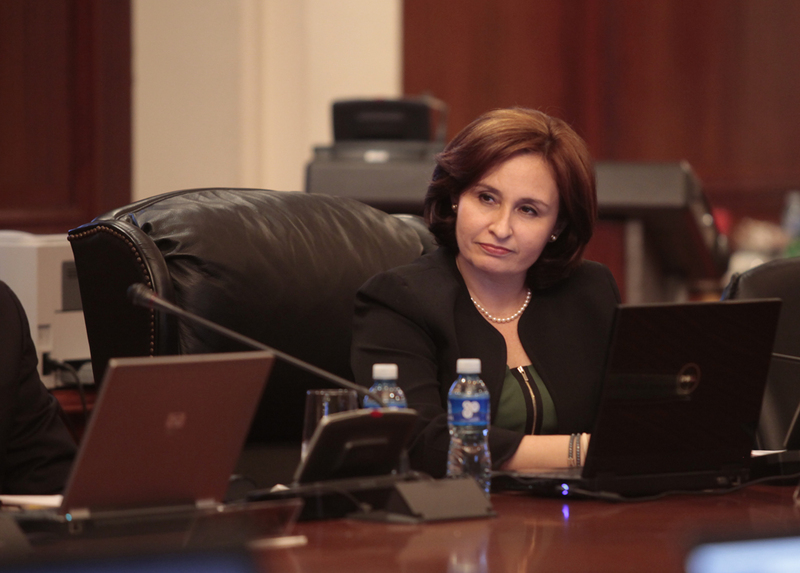 The minister stated that she believed the reason for the diminution in new corporations to be Panama's new "transparency," though she made that claim at an offshore financial services conference, in Panama City, where the countries, and vendors of tax haven services, were advertising just the opposite. Joseph Stiglitz, the American economist & Nobel Prize winner, who was appointed to the special international commission of experts that Panama set up, in the aftermath of the Panama Papers scandal, to recommend reforms in the country's financial services industry, resigned, after he learned that his report would not timely be made public, and that the Government of Panama would see it prior to its eventual release, has commented extensively, to the press, about the matter. However, what has not been disclosed (and which the Panamanian press, which operates under an unofficial censorship policy that discourages negative stories, will not report) is the fact that Stiglitz was expressly warned, by representatives of the Government of Panama, that the report would have to contain positive information, or his personal reputation would be attacked in the global media. This threat was said to have come directly from the President of Panama, Juan Carlos Varela, according to reliable Panamanian sources. Mr. Stiglitz is obviously too much of a gentlemen to repeat this classless remark, but the public, especially Panamanian voters, have a right to know. This bit of nasty business comes on top of the fact that the Panamanian nationals, named to the commission by Varela, all claim that the claimed indefinite delay in the release of any commission report was in the original plans, with the Government receiving a copy in advance of publication, and having the opportunity to respond, and that the report release date was never specified. As one can clearly see, the commission was never really independent. If you have been reading the so-called Bahamas Leaks a/k/a the Bahama Papers, you know that the ICIJ has released 1.3m documents, taken from Bahamian public records, involving 175,000 corporations formed there. While we knew, from the Panama Papers, that the Bahamas were one of Mossack Fonseca's preferred offshore jurisdictions, the Bahamas Leaks have now confirmed that the longtime promises, made by the Government of the Bahama Islands, that it had cleaned up its offshore act, had no basis in fact, and that the Bahamas were just as bad as the British Virgin Islands, and the Republic of Panama, in the tax haven "ask me no questions, I will tell you no lies," category of willful blindness jurisdictions, engaged in major money laundering, tax evasion facilitation, and concealment of beneficial ownership. The Bahamas Leaks demonstrated that corrupt government officials, convicted career criminals, money launderers, and narcotics traffickers, still move their criminal proceeds into, and through the Bahamas. All the AML/CFT material, posted online by the Compliance Commission of the Bahamas, the Ministry of Financial Services, and the Central Bank of the Bahamas, and designed to assure compliance officers that the country is serious about anti-money laundering, are not being followed by the country's financial institutions, non-bank financial institutions (NBFIs), corporate service firms, and attorneys. Raise Country Risk on the commonwealth of the Bahamas. Kindly disregard the motto; unfortunately, the pirates have not yet been expelled; they are the damn commerce. Sources inside the Cayman Islands report that an officer in the Cayman Islands Monetary Authority (CIMA) delivered classified information to Cayman Gang of Four fraudster Sharon Lexa Lamb, who then turned it over to her attorneys. The information included a written statement of facts, submitted by Lawrence Heath, a victim of Lamb's massive multi-million dollar theft of client money, from Dundee Merchant Bank's accounts within the Bank of Butterfield, in Grand Cayman. Apparently the fact that Lamb, who is being sued by Heath in Grand Court, received the classified documents, is now common knowledge in the Cayman Islands. CIMA recently claimed that it has increased its internal security, but that announcement appear to be solely for public consumption, and without any basis in fact. Many outside observers have stated that CIMA has failed to fulfill its responsibilities, as the regulator of financial institutions, and corporations engaged in wealth management and securities matters, and that it should be directly administered by the Foreign and Commonwealth Office of the United Kingdom. It is breaches of trust, like the illegal disclosure of classified information, to a Cayman resident known to be accused of fraud and grand theft, that strengthens the argument for direct control by the UK. Reliable sources in the financial services community have revealed that the surviving Cayman Islands facilities of BNP Paribas* will shortly be permanently closing, as BNP has decided to leave Cayman. In recent years, we have seen BNP reduce its scope in Grand Cayman, by quietly closing up all its other local banking facilities. The last one in operation is slated to be shuttered shortly, though no specific date has been released. After the Panama Papers disclosures broke in Paris, the French financial industry has come under close scrutiny, regarding offshore operations and the fact that there have been a number of financial scandals in Grand Cayman in recent years, most likely contributed to a final decision to leave Cayman completely. Another factor believed to have been considered is the decision, by many major US banks, to implement de-risking policies, which for the Caribbean means to greatly reduce correspondent relationships with local banks deemed to be high risk, due to money laundering and terrorist financing concerns. Whatever the principal reason for the BNP departure from Cayman, it may result in a reevaluation of risk, on the part of other foreign banks, with subsidiaries or branches there, especially as the negative global attitude, towards tax haven jurisdictions, hardens, and offshore financial centers find that their client base is diminishing, due to increasing enforcement of tax evasion in the home countries of clients. * BNP Paribas Bank and Trust, Cayman Limited, BNP Paribas Fund Administration Services (Cayman). And while we are on the subject, Derek Buntain's attorneys, curiously, who are also the lawyers for Sharon Lexa Lamb, currently being sued in Grand Court, by one of the many Canadian victims, AND also are reported to be the attorneys for the liquidators of the Bateman companies. Is that not a conflict of interest, verging upon the facilitation of a fraud upon the court ? I will let the attorneys presently admitted to practice in the Cayman Islands render a qualified opinion on the law, but from where we sit, one cannot represent individuals, who have opposing and obligatory, duties and responsibilities, in matters which misrepresentations of material facts are being made to the court, amounting to fraud. Attorneys in the Cayman Islands are bound by rules of ethics, but they do not appear to have been followed in this case. Marc Matthew Harris, the prodigy who earned an MBA and CPA at the age of 20, and became an offshore financial specialist in the Republic of Panama, and later Nicaragua, as the Harris Organization, has been released from Federal Prison, after serving a long sentence, for money laundering and tax evasion. He allegedly laundered the proceeds of three drug traffickers, and defrauded dodgy clients who were seeking to hide money offshore, as well as legitimate investors. His offshore operations were long considered a Ponzi scheme by investigators who sought to expose his unregulated investment schemes. Harris, who renounced his American citizenship, and became a Panamanian, offered what he called sophisticated legal tax avoidance planning to US taxpayers, and became a target for American law enforcement agencies. Rumor has it that he is now engaged in seeking out certain individuals who helped themselves to some of his millions, when he was deported to the US, to face money laundering charges. WILL THE US NOW INVESTIGATE CUBA'S FINANCIAL FRAUDS AGAINST AMERICANS, IN THE TAX HAVENS OF THE CARIBBEAN ? One of the dirty little secrets in government is that some intelligence agencies, when in need of additional funding, for projects that their legislatures may not approve of, have a long history of indulging in a little criminal activity, to raise money away from governmental prying eyes. These actions rarely see the light of day, but they do take advantage of innocent victims, and generally never have to face justice for their sins, unless an investigative journalist shines a bright light on them. For example, while most Americans know that the Central Intelligence Agency was involved in opium trafficking, in the Golden Triangle, during the Southeast Asia conflict of the 1960s and 1970s, they do not know that the CIA has used sophisticated white collar schemes, such as standby letters of credit, and high yield investment programs, to fleece American, as well as foreign, investors. When looking into the curious relationship between the fugitive Canadian stock trader, Ryan Bateman, and the Government of Cuba, the existence of such illicit programs, operated by the Cuban DGI,* that country's intelligence service, in the Caribbean tax havens, came up. The DGI, it seems, has a major need for capital, especially hard currency (meaning dollars), according to reliable sources, for certain ventures, and it engages, at times working closely with career fraudsters, to raise "capital," which is spirited into Cuba's government-controlled banks, and is safe behind the Sugarcane Curtain. Victims of intelligence agency scams, that are commanded and controlled from Cuba, have no hope of recovery, or of even understanding who defrauded them. Now, however, with the Cuban Glasnost, and the eventual release of sanctions, American law enforcement agencies may be able to quietly collect intelligence about dodgy DGI operations in the Caribbean. Though sovereign immunity protects government agencies from civil litigation, US law enforcement agencies could name & shame the fraudulent operations, or FINRA, or the S.E.C. might provide that service, as they would certainly constitute unregistered securities, being offered to US citizens or residents. 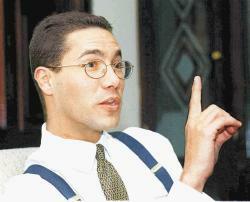 So, did Ryan Bateman divert some of the stolen millions, in the Cayman Gang of Four scandal, to Cuban Banks ? 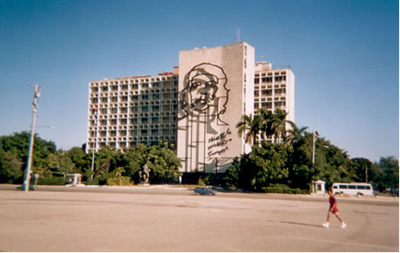 Bateman did have connections inside Cuban government circles, this we know from his earlier dealings with the projects to conduct offshore oil exploration, in Cuban territorial waters, and he often traveled to Cuba, on unspecified business, and in a controlled economy, official approval is mandatory. He also had a direct connection, via Sharon Lexa Lamb's marriage of convenience, to a Cuban national, José Fernández Santana, whose suspicious travel, between Cuba, the Cayman Islands, and the Turks & Caicos Islands, on his yacht, looks like bulk cash smuggling, something that would require government approval. The evidence is not yet complete on Bateman, but the investigation is ongoing. So, the next time some sharp offshore financial professional, in a Caribbean tax haven, talks to you about a high yield "sure thing," remember, you may be dealing, not with financial fraudsters, but foreign intelligence operatives, intent on cleaning you out. Caveat emptor, por favor. *Direccíon General de Inteligencia (General Intelligence Directorate). Last year Richard Chichakli, who was convicted in US District Court in New York of violating sanctions law and regulations, filed a civil suit Pro Se, against Preet Bhararra, the US Attorney for Manhattan, and one of his assistants, Christian Everdell. The case is not yet at issue, and the plaintiff is seeking to file an Amended Complaint, but since Chichakli is scheduled for release next year, the case may never be heard, but you may find it compelling. Was there an abuse of power, because he was Viktor Bout's partner ? The Complaint states that the Government seized all of Chichakli's personal documents, when it executed a search warrant at his US residence, back in 2005. His files, which were allegedly in the possession of the US Attorney's Office, were ordered turned over to him, by the trial judge in his criminal case, but he has never received them. You will recall that Chichakli was shipped around the United States, after his conviction, ending up in Miami, which was far from his New York attorney, and prevented him, according to Chichakli, from properly assisting his lawyer with his appeal. During his trial, Chichakli complained that the strict conditions of his pre-trial detention interfered with his trial preparation. An objective observer might conclude that he was subject to treatment, and conditions of incarceration, that increased stress, and diminished his ability to work on his case, both pre-trial, and during post-conviction proceedings. The files, which included his US Citizenship records, and his military service record, were necessary to enroll him in US Bureau of Prisons reentry programs. The plaintiff, in addition to demanding the return of his records, is seeking money damages. His social security number was stolen by an identity thief, after it was published by the Government, and unauthorized tax returns filed under his name. If you are a legitimate businessman or investor, your professional adviser, if he or she is honest, will always tell you that owning any assets through a corporation having bearer shares can be a fatal mistake. Unless a company's shares are registered, there exists a clear and present danger that ownership can be appropriated by criminal elements, including those very foreign corporation service providers that you engage to assist you. Only if you are a tax evader, or laundering the proceeds of crime, do you really need the level of anonymity that bearer share companies, such as those one can purchase in the BVI, or Panama, can give you; all others should never touch them. Do not let any sharp offshore lawyer tell you otherwise. We have, over a period of years, told many sad stories, where North American or European investors purchased real estate or other assets, and placed them in a corporation with bearer shares, finding out too late that local "professionals," who were supposedly providing services to them, stole the stock, and thereby the assets, often without even using a forged notary certificate, confirming the "sale" of the stock, though this is often the case. Whoever holds the stock owns the assets, period. Our extensive coverage of one of the worst of those fraudsters, the Alaskan expat, Gary James Lundgren, detailed how he stole real property that he was supposed to be managing for his foreign clients, in the Republic of Panama. Lundgren, a broker-dealer whose securities licenses were revoked, by FINRA, for the rest of his life, simply transferred the stock of clients into his own name, and thus acquired ownership of the company, and its real estate holdings. You never have total control, unless your corporation issues registered shares. Clients of Leon Frazer & Associates, Inc., whose professional investment counselor was William Tynkaluk, an LF director, and one of the company's most powerful leaders, were advised that Revenue Canada would soon increase taxes, and that they must transfer their wealth offshore. To do otherwise was folly, according to Tynkaluk, who was neither a tax attorney, nor an accountant. His contacts abroad would form companies for those clients, who were now in fear of losing a substantial portion of their wealth, and those companies would have bearer shares, or privacy reasons, Tynkaluk stated. This was a case of a brokerage firm intentionally giving his clients advice that constituted malpractice, or worse, fraud. LF should never have recommended bearer share companies. Conveniently, Leon Frazer had a relationship with the ownership of Dundee Corporation, which had an offshore bank in the Cayman Islands, Dundee Merchant Bank, trading as Dundee Bank. LF clients' money would be safe at Dundee Bank. Furthermore, Dundee Bank's two senior bankers, Derek Buntain, President, and Sharon Lexa Lamb, Senior Vice President, would be the directors of your offshore corporations, to assist you, and even be your financial advisers. Can anyone here spell Conflict of Interest ? We all know what happened next: Lamb & Buntain placed the clients' money, not in segregated accounts, but consolidate the funds and assets in Dundee's own accounts at the Bank of NT Butterfield & Sons, Ltd., and later, without authorization, or right, transferred (read: stole) many millions of client assets, for their own use. This is known as the Cayman Gang of Four scandal. When victims attempted to take control of their companies back, they found out, to their amazement and chagrin, that Buntain & Lamb would not cooperate, unless they received immunity, and who threatened them with exposure for tax evasion, even if that was not the case. The same financial criminals who stole their money and stock controlled their clients' corporations. The ultimate insult occurs when the victims seek information about their accounts, at the brokerage firms they dealt with, only to be told that, since they cannot prove that they are directors, or beneficial owners, privacy laws bar the disclosure of that information. Should not Leon Frazer have disclosed that little detail to their clients, in writing, together with all the drawbacks that exist, when a client owns a corporation with bearer shares ? This is negligent conduct, plain and simple. (1) Never, never form a corporation that has bearer shares, and do not ever purchase one that does. (2) Consult a competent lawyer, whenever you need advice regarding corporation formation; you may also need to speak to a tax attorney, as well. (3) Weigh all the pros and cons, whenever dealing with the offshore industry, and make an educated decision. Sometimes, the best thing to do is to just say no. Attorneys representing the Iranian businessman & gold trader, Reza Zarrab, who is charged with violating US sanctions on Iran, have filed their Reply Memorandum of Law, regarding their pending motion for recusal of the trial judge. They have made some persuasive arguments in the Reply. (A) The parties have NOT "participated in a substantial manner in trial or pre-trial proceedings." Discovery is far from being completed. (B) The Court took appropriate action, to ensure against a "waste of judicial resources, " by canceling the hearing on the two pending motions. (C) There has been no entry of judgment. (D) There is good cause for delay. Defense counsel has been investigating the events in Turkey, which started with the failed coup in July. Second, Recusal is warranted on the merits. (A) The Government has applied the wrong legal standard. the correct one is whether "an objective, informed observer could reasonably question the judge's impartiality," not that the dense has the burden of showing "such a high degree of favoritism or antagonism to make fair judgment impossible." (B) The Government has mischaracterized the Court's past comments. They were not "innocuous" or "noncontroversial statements" about the fundamental rule of law. Finally, the defense maintains that Government has signaled it intends to detail the facts surrounding the Turkish case against Zarrab, where there are allegations that it was dismissed due to the payment of bribes, and that Zarrab corrupted the Turkish judicial system. Both sides have presented compelling arguments, but the law does favor Recusal under similar circumstances. The motions to dismiss, and to suppress evidence, will not be heard until the Court renders its decision on this motion. If you were wondering why Grand Cayman corporate service formation firms are forming companies for their clients in the British Virgin Islands (BVI), and not the Cayman Islands, where you would think they would prefer to incorporate, read on. Take a good look at the Companies (Amendment) Law 2016; it removes the power of Cayman Islands exempted corporations to issue bearer shares. All existing bearer shares were required to be converted into registered shares before June 13,2016, or they will be considered void. Thus means that there are no companies formed in the Cayman Islands, with bearer shares, hereafter, and all the old one must be converted. Now take the British Virgin Islands: it continues to be the jurisdiction of choice for financial professionals who must conceal the identity of their client, the beneficial owner. It is the favorite corporate formation destination of the dodgy lawyers at Mossack and Fonseca, according to the Panama Papers documents, because of the ability to form a company with bearer shares. It remains one of the last of the unreformed offshore financial centers, where "don't ask, don't tell" is the watchword of the day, for it pays all the bills in Road Town. THAT'S why the good people in the Cayman islands corporate services firms take all their illicit business to the BVI. 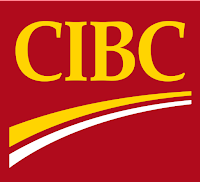 The Bahamas Papers/Bahamas Leaks documents have identified Canada's largest banks as participants in the formation, and servicing, of Canadian money in offshore accounts, for companies, trysts and foundations. Here are the number of tax haven accounts served by these banks. I will let you draw your own conclusions as to whether they are facilitating tax evasion, money laundering, or both. (A) Scotia Bank of the Bahamas & Nova Scotia Bank in Nassau. (B) CIBC Trust Company Bahamas Ltd. & First Caribbean International Bank (subsidiary), in Nassau. Let us hope that Canada's regulatory agencies, and law enforcement agencies, take a hard look at this information, and at the banks. Remember the case of Marco Antonio Delgado, the prominent El Paso attorney who laundered drug profits for the Milenio Cartel, and who was closely linked to powerful Mexican political figures, including the wife of the President of Mexico ? He was convicted in that case, and now he was convicted in a new case, involving wire fraud and money laundering, unrelated to the first. That case was of great public interest, when it was disclosed that he was acting as a Confidential Informant for a US law enforcement agency, when he committed multiple offenses* The original 20-year sentence, handed down by the trial judge was reversed by the 5th Circuit in 2015; this year, he was resentenced, and received a 16-year sentence, which he is also appealing. In the second case, Delgado represented a corporation that entered into a $121m agreement with a Mexican state-owned utility, the CFE. He illegally diverted $12m from the transaction, for his own personal use, and had the money deposited in an account in a Caribbean tax haven. (1) Wire Fraud - 3 counts. (2) Money Laundering - 7 counts. (3) Engaging in Monetary Transactions of Criminally-Derived Property - 9 counts. We shall be covering the appeal on this blog. * Perhaps the most interesting aspect of the first case was the effort, on behalf of his counsel, to have his mental health examined, when the defendant declined to enter into what was stated to be a plea negotiation. Perhaps defense counsel might have considered the fact that any cooperation on his part could very well have resulted in his assassination, by his Cartel client. William (Bill) Tynkaluk, the senior Director at Leon Frazer & Associates, Inc., a Canadian firm, sold the firm's clients, and non-clients, what he described as a unique High Yield Investment Program (HYIP), guaranteed by Tyunkaluk to return 400% interest, per annum. The only problem was, the investment program did not exist. High Yield Investment Programs are fraudulent schemes that rely upon a promised extraordinary return upon investment to trick the victim into participating. In truth and in fact, there are no such programs available, anywhere, anywhere, that pay such amazing rates of interest. It promises a fiscal impossibility, that succeeds, based upon the greed and avarice of the victims, who fail to conduct even rudimentary due diligence, before investing, and who never recover their money, let alone make a profit. HYIP schemes often dazzle their intended targets with stories that seem to be too good to be true, because they are. 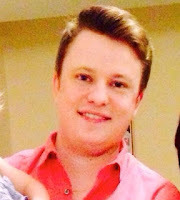 Broker-dealer William Tynkaluk entertained those investors whom he sought to participate in his $10m financial fantasy, at Toronto's prestigious Albany Club, at Leon Frazer's expense, where he introduced his marks to the "financial professionals" who offered the HYIP, for which referrals Bill T would earn substantial commissions. those investors who did not have the entire $10m were encouraged to pool their money, and several were known to have done so. The victims relied upon Tynkaluk's long association with Leon Frazer, and his promises of unbelievable returns upon investment, to their damage and detriment. Once paid, not only was the HYIP investment never seen again, let alone a return, and victim resulted in promises to inquire, but no follow-up by Tynkaluk was known to occur; excuses were politely offered, but since the investment, though seemingly guaranteed, was made through a third party, Mr. T was not responsible, though the badges of fraud were painfully evident. Let us hope that the wheels of justice turn swiftly, and that all those individuals, and companies, that illegally profited from the sale of these totally bogus HYIP investments, be punished for their role in the fraud. As we expected, and as we predicted on this blog last year, the President of Colombia, Juan Manuel Santos, has now gone on record as stating that the FARC, whom Colombians will shortly vote to approve a comprehensive settlements, must now release the billions of dollars in drug and kidnapping profits that it holds. This is now a matter of Colombian national policy, and not subject to negotiation. The money is to be used to restore damaged lives, businesses, and rehabilitate those who suffered injuries at the hands of FARC soldiers, who committed terrorist acts for 50 years. Inasmuch as the criminal proceeds are believed to have been mostly laundered, and invested around the globe, as well as on deposit in banks of the world's tax havens, the process will take years to accomplish. It also depends upon whether some FARC leaders will then choose to keep that money for themselves, and flee, rather than face expected prison terms, for murder, kidnapping, theft, and drug trafficking. Don't expect soldiers who are, in truth and in fact, operating as career criminals, to change overnight. Compliance officers at international banks, where wire transfers from tax haven banks, of FARC "flight capital," are most likely to transit, en route to other, more remote and obscure offshore financial centers, should watch the October vote in Colombia, closely, and thereafter alert their staff about the risk of fleeing FARC criminals, or their money launderers, moving assets to "safety." FARC so-called diplomats would be my choice to be the individuals designated for this task. It is also important to remember that much of the FARC's cash went straight into any one of a dozen dirty, cooperating Panama city banks, and into accounts held anonymously by bearer-share corporations, or foundations, and could have gone anywhere at that point. 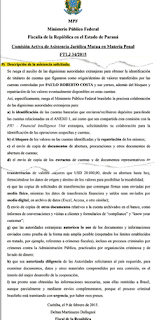 Readers are wondering why the Attorney General of Panama, Kenia Porcell Díaz, refuses to respond to eight of Brazil's legitimate requests for information, regarding the Odebrecht bribery scandal, in that country, stating that she will not participate in an extremely general "fishing expedition," into Panamanian bank records, do not understand Panama's culture of corruption. Allow me to explain. Attorney General Porcell was appointed by the Cabinet of Panamanian President Juan Carlos Varela. Sr. Varela, when he held the position of Vice President, under the former administration of Ricardo Martinelli, was in charge of major construction projects, which included work that was done by Odebrecht. Panama insiders all confirm that he received illicit compensation, for approving construction projects for Odebrecht, and that, if Fiscal Porcell delivers the bank account details requested, that those documents will probably include illegal payments to Varela, directly or indirectly. Such a disclosure, coming on top of the Mossack and Fonseca, would definitely rock Panama to its foundations, and further confirm its status as a nation riddled with corruption and crime. That will deter new investment, and cause major capital flight. There's your answer. AN OFFSHORE PROVIDERS CONFERENCE IN PANAMA CITY THIS MONTH ? ARE YOU BLOODY KIDDING ME ? Has the offshore financial world gone completely mad ? In the aftermath of the Mossack Fonseca/Panama Papers scandal, the Society of Trust & Estate Professionals (STEP) is holding its upcoming 2016 LatAm (Latin America) Conference in Panama City September 28-30 ! This is not exactly the best time to troll for business, from wealthy Latin American nationals, when the close connection between offshore financial professionals, and tax evasion and/or laundering the proceeds of crime is the most prominent topic of compliance officer (and bank client) conversation. What on earth was STEP thinking ? To add to the poor timing of this conference, the Presenting Sponsor is The Ministry of Financial Services of the Bahamas; if you are reading our other blog articles today, you know that the Bahamas Papers, (or the Bahamas Leaks) being a database , acquired by ICIJ, containing records of 175,000 corporations, was made public today, which will cause the Commonwealth of the Bahamas to be under the microscope, especially since a number of tax evaders, career criminals, and corrupt PEPs have already been named & shamed, based upon this new information. Message to the STEP leadership, who proceeded ahead with this conference, in the worst possible place to hold it, for public relations purposes: providing advice, which the public equates with tax evasion and money laundering, through offshore financial centers a/k/a/ tax havens, is not cool this year. Dial it down, please; Cancel the bloody conference. The International Consortium of Investigative Journalists, the ICIJ, has announced the public availability of their newest project: Call it the Bahamas Leaks, or the Bahamas Papers, data on 175,000 registered Bahamian companies, trusts and foundation, formed between 1990 and 2016. The data is contained in as estimated 1.3m files. There are 539 Registered Agents in the data, including, of course, Mossack Finseca, which the ICIJ says set up 15,915 entities in the Bahamas, making it MFs third-largest jurisdiction for corporate formation. Many articles about the Panama Papers have neglected to mention the importance of the opaque Bahamian company to Mossack's dodgy clientele. Most experienced North American compliance officers have run up against Bahamian information opacity, and will appreciate the ability to peak into information which has been heretofore denied to them. Inquiring minds have already identified several prominent European PEPs, as well as many Middle Eastern and Latin American individuals of public interest, in the Bahamian material. The Bahamian data has already been integrated into the ICIJ Offshore Leaks database, together with the Panama Papers, and other databases, and you can search it here. Let the punishment fit the crime; on the Isle of Man, that is not, apparently how the justice system works. A former fisherman, who confessed to moving what he believed to be drug money, out of the Isle of Man, and into the United Kingdom, received a short nine month sentence, for his crimes, which involved sixty illicit transactions. What is even worse is the fact that the judge opined that he imposed the sentence because he posed a moderate rick of reoffending. Taking someone out of circulation for such a short time, when you are worried he will return to money laundering, makes no sense. Also, how can one believe that such a sentence will deter others, who might be tempted to make such easy money this way ? One more item: the other two defendants in the case got no prison time; one a suspended sentence, and the other, who cooperated, received community service. No wonder money laundering is out of control. Counsel for Reza Zarrab has notified the Court, in a filing, that former OFAC Director R Richard Newcomb will serve as an expert witness on behalf of their client. Newcomb, who was Director of the Office of Foreign Assets Control, for 18 years, is presently a partner at a major law firm. In their Summary of the Witness' Opinion, defense counsel stated that Newcomb will testify that the IEEPA has jurisdictional limits, that it does not apply to conduct by non-US individuals, that occurs entirely outside the United States, and that it is the longstanding policy of OFAC not to target non-US individuals, acting entirely outside the United States. He is basically taking the position that Zarrab is a person not subject to the jurisdiction of the United States, therefore not subject to OFAC restrictions. There is a motion to dismiss pending in this action, but its September 6 hearing date was cancelled, due to the pending defense motion to recuse the District Judge, Richard M Berman. 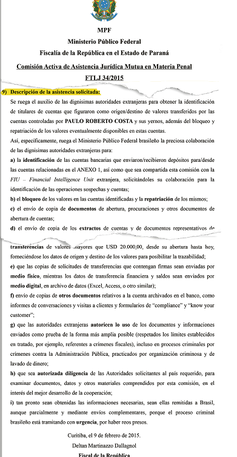 Brazilian authorities are complaining that the Government of Panama has failed to reply to eight requests for documents, which are critical in their investigation of money laundering and corruption, alleged to have been committed by Constructora Norberto Odebrecht SA, the powerful contractor that reportedly paid large bribes to obtain lucrative state contracts in Brazil. Information about Bearer-share Panamanian companies, and payments made through bank accounts at Credicorp Bank, in Panama City, have been sought by the Federal Public Ministry of Brazil, without success. One request was reportedly acted upon, but eight others have been totally ignored. Panama and Brazil have mutual assistance treaties in force, including a legal aid treaty, and the Panamanian failure to respond, and to produce documents, apparently has no basis in law. The reason that Brazilian requests are being ignored is thought to be Panamanian fears of exposing an additional major scandal, involving bribes paid through accounts at Panama City banks, in the wake of the Panama Papers case, which has severely damaged the republic's reputation as a responsible offshore financial center. Remember Bo Guagua ? He is the "princeling" son of Bo Xilai and Gu Kailai, a senior Chinese official, and his attorney wife, both serving life sentences for corruption, and murder, respectively. Some observers have claimed that the British businessman, Neil Haywood, was poisoned because he threatened to expose Gu Kailai's corrupt activities. Others allege that he made sone unspecified statements that Gu considered a threat to her son. Bo Guagua, who has stayed out of China, since his parents were arrested, graduated this year from, of all places, Columbia Law School, in New York City, one of America's best law schools. While at the school, he adopted the alias, Bo Guangyi, and Columbia seems to have fallen all over itself to accommodate him. It removed all references to his corrupt PEP father from published information, and it may have deleted his email address as well. Many American universities have gone out of their way to insure that their students, and the public in general, are not aware that the son or daughter of a senior Chinese PEP, is a student there. Given the restrictions upon individual liberty, especially press censorship, imposed by the Peoples' Republic on its citizens, princelings, the privileged children of senior officials, could be subject to harassment on campus. In truth and in fact, the tuition being paid by those students is often more than the annual salary of their fathers, raising a presumption of corruption. Bo Guagua earned degrees at both Oxford and Harvard, and the stories about how he was on scholarship, and also using his mother's "savings" for tuition and expenses, are a joke played upon the Chinese people. One wonders how much money, received as bribes and kickbacks by his parents, was moved out of China, and who has access to that illicit wealth ? I will give you one guess who is my candidate. One final note, after masquerading as Bo Guangyi at Columbia, he received his degree under his real name. You can confirm this by simply going to the list of graduates who received their Juris Doctor degrees. What's next for this princeling ? Not being a US citizen, Bo cannot take the bar, and become admitted to practice in any state. He cannot return to China, lest he be detained, on some corruption charge. Maybe he can find a place in academia, a law school teaching job, perhaps ? Wherever he goes, we will be watching. The Republic of Chile has the largest number of Palestinians, and individuals descended from Palestinian immigrants, outside of the Middle East. Conservative estimates range from 500,000 to 700,000. Many Chilean Palestinians are rabid supporters of Hamas, and this poses a serious problem for compliance officers at financial institutions located in North America, due to potential terrorist financing & funding issues, due to the serious civil penalties that are imposed for violations. Ordinarily, we regard Chile as low threat, for Country Risk purposes. It is neither a drug producing, nor drug transit, country, and it is not a major money laundering destination, though I am aware that the free trade zones have been used as such, in the past. It has a powerful business sector, and enjoys a close economic relationship with the United States. The problem is that Chileans of Palestinian descent identify with Hamas, notwithstanding its status as a Specially Designated Global Terrorist (SDGT) organization. Palestinian organizations located in Chile repeatedly seek to interfere with trade between Israel and Chile; the recently sought to interfere with a visit, to Santiago, the capital, by two members of Israel's Knesset, the country's Parliament. Much of the anti-Israel agitation comes from local Palestinian NGOs. These Palestinian organizations, which include the Palestinian Federation of Chile, the General Union of Palestinian Students, the Bethlehem Foundation, and the Palestinian Social Club, are well funded, as many descendants of the original immigrants have created successful businesses. They are not known to seek funding from the Middle East. Most of the Chilean Palestinians are not Muslim, but Christian; their ancestors fled Muslim abuse and violence, as well as conscription into the Turkish Ottoman Army. They should have no fond memories of their original family experiences, but they have apparently created a fantasy about where they came from, and now throw in their lot with the worst that Palestine has to offer - Hamas. Someone should tell them that Hamas has a history of abusing Christians in Gaza. Therefore, you can expect many affluent Chileans of Palestinian descent to provide material support to Hamas, and those donations expose international banks, that handle funds from Chile, to possible terrorist financing risks. It is prudent for compliance officers to consider those risks, when accepting wire transfers whose ultimate destination might be Hamas, or to pay for goods and services that would benefit Hamas. If your bank clients engage in trade with Chile, or you have wealthy Chilean customers, keep the risk of terrorist financing in mind, when conducting due diligence. This is our second article, naming current, and former, attorneys at the Panama City law firm of Mossack and Fonseca. We say former, because a number of the experienced lawyers at Mossack have not only jumped ship for other employment, some have gone so far as to delete any reference to the time they opened BVI corporations for corrupt PEPs, tax evaders, and drug traffickers at the law firm. One former MF staff attorney told the press that he was only the Managing Director for a short while, that he had a minor role, and that he swiftly resigned, some time ago. A quick look at the ICIJ materials, however,showed him as the designated intermediary for many companies that were formed at MF. After the end of the Second World War, German soldiers who had served in the Schutzstaffel, the SS, were designated as war criminals, and subject to punishment, by military tribunals. The Mossack Fonseca attorneys all participated in what many consider organized crime, a racketeer-influenced criminal organization. They are all tainted, for their role in hiding their dirty clients, and their money, behind opaque bearer share companies, and counterfeit foundations. They do not deserve to lateral into legitimate law firms, where they may be tempted to contact their old clientele, and endanger their new employers, with criminal activity, at a new location. If you were wondering whether we would be seeing a denial this month, of Allen Stanford's Petition for a Writ of Certiorari, which is pending before the United States Supreme Court*, there has been a delay in the briefing. The Solicitor General sought, and obtained two extensions of the deadline date for filing its Response, and the last order allows him to file by October 12th. Note that, originally the Government had waived its right to file a Response, but the Court then requested that one be filed. Stanford's District Court conviction was affirmed by the Fifth Circuit, and the odds that the high court will agree to consider the case are small, and the issues Stanford presented do not look to me to constitute likely reversible error, but it was a case of great public interest, so we shall continue to follow it for our readers. Stanford is currently incarcerated at the US Penitentiary Coleman II, which is located in central Florida. His presumptive release date is April 17, 2105, at which time he will be 155 years old, which means he will die while in custody. *Robert Allen Stanford vs. United States, Case No. 15-1490 (US Sup Ct). If you have not yet read our article on the Panama Wall Street scandal, entitled "Panama's Securities Regulator Intervenes in Company linked to Gary Lundgren", it is recommended that you review it. Hackers reportedly linked to the FINRA-disbarred American securities broker, Gary Lundgren, have been trying, without success to, deny access to that article, and others, using what is commonly known as a DDoS attack, where the hackers flood the website with requests to display the article. The hack, as you can see if you access the article, through the link provided above, is an utter failure, but Gary Lundgren, the Panama City based fraudster, and vendor of bogus High Yield Investment Programs to unsuspecting American investors, and whose long criminal career we have extensively covered on this blog, will certainly try, try, try again. Panama sources continue to report that Lundgren's grown children, ZacGary Lundgren, and James Lundgren, are assisting him in his illegal, unregistered, and fraudulent broker-dealer activities, working out of an unlicensed company in Panama City. They are also not licensed to sell securities in any jurisdiction. HAVE YOU SEEN THIS PERSON IN THE LAST 30 DAYS ?